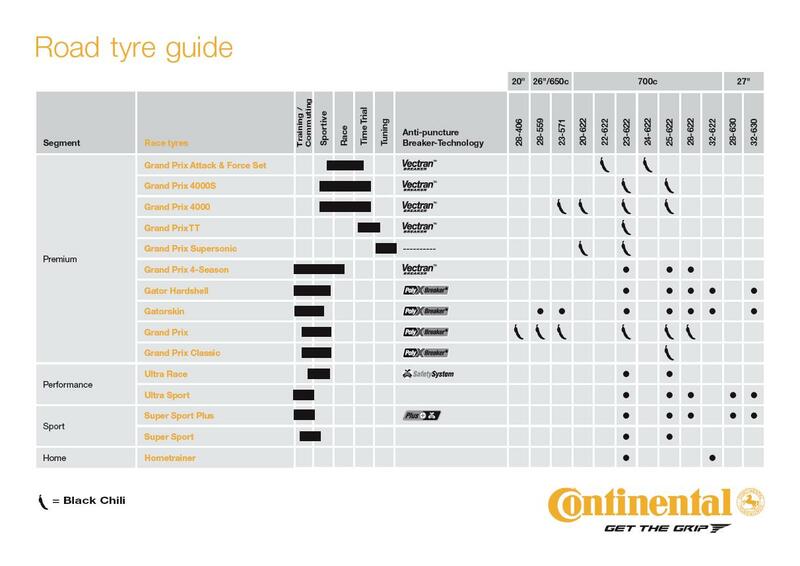 The Continental Gatorskin Folding Clincher Road Tyre is a durable, fast and tough tyre at an affordable price. This long distance runner features a Duraskin external mesh to create a protective shield over the casing, this helps to prevent cuts, punctures and abrasions. The slick German made natural rubber tread will is made to run well in wet winter conditions. Ranging in width from 23mm to 32mm, it's perfect for use on the way to work, training for road races or sportives and audax. - A.D.
service great products always turn up, web page very easy to read & follow, Gatorskin tyres are the best all round training tyre for where l live in the Otway rangers wet roads in winter & very hot in summer. Bought as backup spares so have not had the opportunity to road test them. 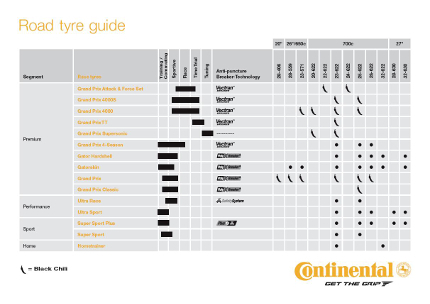 An excellent tyre. They roll well and the 25mm width makes them super comfortable. 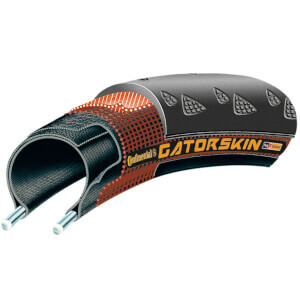 The gatorskins have a reputation for being puncture proof and so far my experience backs this up. I accidentally rode through broken glass on the weekend and while there were some superficial scratches on the surface, the tyres were solid as a rock. A+ will buy again. I used to get occasional flats, but since I switched to these tyres that is no longer the case. Love these tyres especially when they are on sale at Probikekit. Ive had a great run on these tubes so haven't been game to try anything else. The tire was easy to install, looks good, and hasn't had any flats or issues. Excellent tyre for riding on roads in the spring. Puncture resistant and withstand various road debris extremely well.